Ms Lorijon Bacchi, Visa’s newly-appointed Country Manager for Vietnam, Cambodia and Laos, tells that the payment card market in Vietnam has major potential but its development faces some obstacles. How do you view Vietnam’s payment card market at the moment? The market here is relatively young and still emerging but with the potential to become one of the most dynamic in the region. The popularity of payment cards in Vietnam has grown significantly over recent years, due to a rapidly increasing middle-income segment and their growing willingness to use cards. What challenges are inherent in deploying payment cards in Vietnam? What are your priorities in broadening the acceptance of Visa cards in Vietnam? Although the use of payment cards is increasingly accepted in Vietnam, their deployment faces certain challenges. These include the credit-averse nature of consumers and their lack of understanding of credit cards. Most Vietnamese still prefer to pay with cash and many local privately-owned retailers also prefer this mode of payment. Few consumers are fully aware of the benefits of using payment cards instead of cash. Paying with cards not only saves consumers the trouble of carrying around a large amount of cash, which can be risky and inconvenient, but it is also a way to better manage finances. By using cards, consumers can track their expenses, which are recorded on their monthly bank statements. Our priorities are to educate Vietnamese consumers on the benefits of using payment cards and to expand Visa card acceptance in the market. Visa opened a representative office in Vietnam in 2005. What is your strategy to stay relevant and continue to be successful? Since our first representative office was set up in Vietnam, Visa has worked with more than 30 local and multinational banks to offer a wide range of credit and debit products for consumers and businesses. Developing economies such as Vietnam require strong banking and financial sectors, and electronic payment infrastructure and services are an integral to the country’s development. 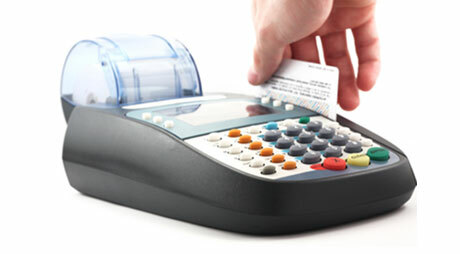 According to a Moody’s report, the steady migration to card payments has added 0.22 per cent to consumption in Vietnam. As Vietnam continues to develop rapidly and strengthen its economic position in Southeast Asia, Visa is well-placed to share our global expertise and unique range of products and services, as well as spur economic growth in the country. What do you foresee as the growth rate of electronic payment cards in Vietnam over the next five years? Based on a 2009 report on financial access, just three in ten adults in Vietnam use financial services. However, Vietnam has been one of the region’s economic success stories in the past decade and the country’s growing affluence among middle class consumers presents a major opportunity for electronic payments. In terms of the number of Visa cards issued, Vietnam is one of the fastest growing markets in Southeast Asia.